Hamburg, Germany – 2005-07-05 froglogic GmbH today announced the availability of Squish supporting testing applications written using the XView toolkit. Squish, which is an automated GUI test tool, so far supported automated testing of applications written using the Qt GUI toolkit. Right from the start, the makers of Squish designed the testing framework to make adding support for different toolkits as easy as creating new add-on modules. Reuters Financial Software initially chose and utilized Squish to automate testing of their new Qt-based version of Kondor+3.0, Reuters deal capturing, position keeping and pricing system. „Reuters has been investing in Quality Assurance for years both at a Process & Method level and at a testing level. In order to satisfy our customers demand, our testing approach is increasingly based on the principle of automating the tests for a better management and measurement of test coverage. Reuters choice for software testing solutions is usually oriented towards the big players of the market, whose products cannot always satisfy specific needs. Squish has proven to be an excellent tool that can easily interoperate with testing software from major vendors. It can test our cross-platform Qt based Kondor+ 3.0. At the same time we also wanted to leverage our effort by using Squish to automate testing our prior versions of Kondor+, which have been implemented using the XView toolkit. So we talked to froglogic with the result that they added support for the XView toolkit to Squish. A data-driven approach of the testing enabled us to adapt very easily our existing scripts to Kondor+ 2.6 and 2.5. We are now working on the next step: integrating Squish into our existing test framework“, said Thierry Duchamp, QA Manager for Risk of Reuters Financial Software. Now Reuters Financial Software is able to use the same testing tool, namely Squish, to test both, the XView-based and Qt-based versions of Kondor+ on multiple platforms. „It was a pleasure to cooperate with Reuters Financial Software and their competent engineers to jointly realize XView support in Squish. We are also very satisfied to have proven this way that Squish’s modular design allows for easy extensions such as support for new GUI toolkits. We will keep adding support for new toolkits this way as demand arises“, said Reginald Stadlbauer, CTO of froglogic. 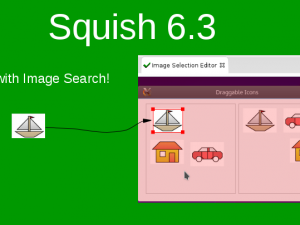 XView support for Squish is now available. If you would like to try out Squish for Qt or XView or have any questions regarding Squish, please contact us at squish@froglogic.com. More information can be found at www.froglogic.com/squish. Reuters Financial Software is a subsidiary company of Reuters. Reuters is over 15,500 employees in nearly 92 countries, with revenues of 4.8 billion EUR. Reuters is also the world’s leading international press agency, with an editorial staff composed of 2,400 journalists and photographers working in 197 offices, serving some 130 countries. Reuters, whose reputation is based on its constant technological innovation and on the criteria of speed, precision and the unique ability to supply its clients, the world over, with content, technology and connectivity. This technology enables Reuters 427.000 users in over 150 countries to access information in real-time : news, market data, corporate information, business indicators, etc. Reuters Financial Software’s is a publisher of business software for trading rooms. Our job has led us to design, develop, document, validate and maintain our software on our site in Paris La Défense.Reuters Financial Software is one of the main Reuters development centers for applications and financial solutions in the world. Since our creation, we have constantly evolved, extending our product and service offer, growing our staff (+400 employees today) and positioning our products as a key element within the Reuters Group. Our products address operators on the financial markets, especially in financial information management, positions and risks, purchase order management and financial instrument sales. Product developments are also generating increased needs for service. Reuters Financial Software offers a complete line of Front to Back Office solutions, distributed throughout the world by Reuters. An important factor to our successful development, this distribution system enables Reuters Financial Software to focus on its core business, software development. This enables our clients and the market to benefit from advancement in technology and finance. Listening to our clients, in constant anticipation of their needs, Reuters Financial Software has always enjoyed exceptional interactivity with the market. This unique way of working has been materialized through advanced products that are nevertheless adapted to the daily reality of our customers.Today, our products are installed in over 9.000 trading rooms, and used by nearly 200.000 users.